Team Lakay prodigy Danny "The King" Kingad is looking forward to his first ONE Flyweight World Grand Prix bout, despite the abrupt change in opponent. After original opponent Andrew Leone was forced to pull out of the contest due to injury, Japanese veteran Senzo Ikeda quickly stepped in to the highly-anticipated tournament, which kicks off at ONE: A NEW ERA, set for the iconic Ryogoku Kokugikan in Tokyo, Japan on March 31st. "I know this bout against Ikeda is going to be a tough one," said Kingad. "Geje [Eustaquio] told me to never let my fights go to the judges’ decision and to always look to finish. He knows my skills and capabilities very well, so his advice for me was to sharpen my finishing skills and end every match as quickly as I can." "I will win this bout not because I am better, but because I am spiritually and mentally stronger than my opponent. I have trained for years to build the self-discipline and skills I need to become a champion,” Kingad concluded. "You can expect an exciting match." If Kingad can defeat Ikeda, he will advance to the semi-finals of the competition where he'd face the winner between Kazakhstan’s Kairat Akhmetov and Australia’s Reece McLaren. 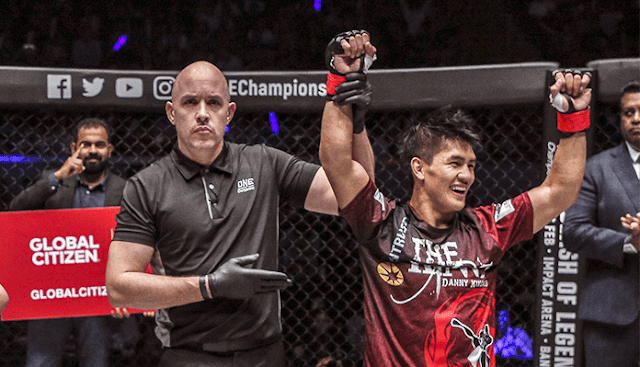 ONE Championship's first ever event in Japan will provide the biggest and brightest stage yet for Kingad to prove his credentials.